TIM KLINE ROOFING, LLC – The Most Detailed Roofer In the State … Roofs Done Right … The FIRST Time! 15 year Workmanship Warranty on All Complete Roofing Systems. FREE Detailed Roof Inspection and Written Proposal, all proposals at reasonable prices. 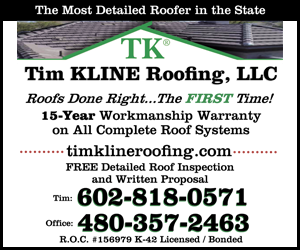 Call Tim today at 602-818-0571 or Tim’s Office 480-357-2463 or visit timklineroofing.com. ROC #156979 K-42, Licensed / Bonded. REVITAL- AZ LASER & MED SPA – Offering a Certified Practice for “Better Living” and “Anti-Aging.” Coolsculpting, is World’s #1, No Needles, No Surgery, No Down-time. State-of-the Art Services – Laser Therapy, Photo Facials, New “Focus Array” Lens, Laser Tattoo/Hair/Age-Spot Removal, Medical Aesthics, Botox, Filers and much more. 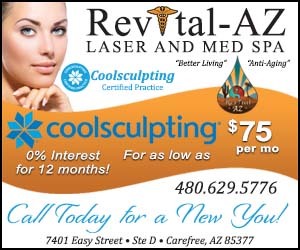 Complimentary Consultation call 480-629-5776 or visit revitalaz.com. You are invited to our “Cool Event” Sat., Feb. 25th • 12 – 4 pm. – 7401 Easy Street, Carefree, AZ. 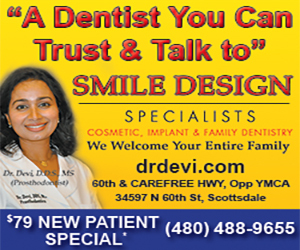 SMILE DESIGN SPECIALIST – Dr. Devi is the dental specialist you can trust for all of your dental needs. Dr. Devi has the highest standards of care for Cosmetic Dentistry, Implant Dentistry and Prosthodontics. 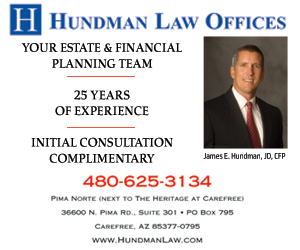 Their office is located at 34597 N. 60th Street, Scottsdale. 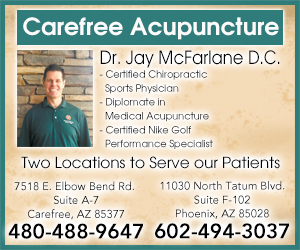 Call 480-488-9655 for an appointment or visit www. drdevi.com. GALAXY CLEANING SERVICES – Our Service is Out of this World and a Step above the rest. Customer Satisfaction is our #1 Priority! No job is too BIG or too small. We service Mansions, Penthouses, Residential Homes, Motor Homes and Apartments. Affordable, Dependable & Owner Operated. Rates are Weekly, Bi-weekly, Monthly & Move In/Out. We serve Carefree, Cave Creek, Tramonto, Anthem, Desert Hills, Terravita, Troon, Scottsdale & more. 10% Off First Visit. Free quote call Jami 602-944-9000 or visit cleaningbygalaxy.com. AFFORDABLE COMPUTER HELP – Is your Computer Crashing, Have Slow Internet Brousing, Email Viruses, PC Needs Tune- Up? Don’t Unplug That Computer….Mark Gogan can Help and he will come to you with his mobile service. Mark has 30 years of Reliable, Honest, Dependable, Computer Support Experience. 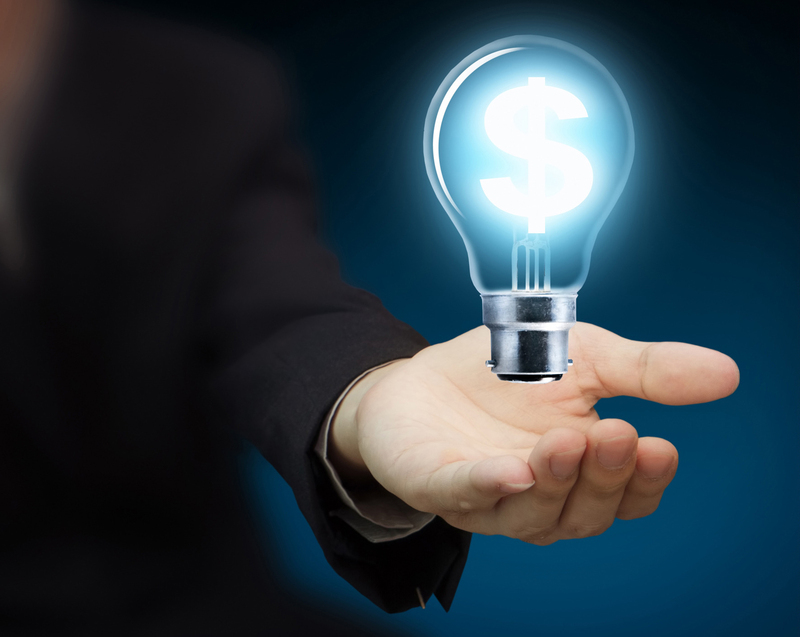 Call Mark Today at 480-720-0233 for FAST MOBILE SERVICE or visit www.affordable-help.com. UNITY OF CAREFREE / CAVE CREEK – Have you been searching for an open – minded, accepting spiritual community that honors all paths to God and helps people discover and live their spiritual potential and purpose? Join us on Sunday at 10 a.m. and experience a worship service that uplifts and transforms as Rev. Lori combines music, meditation and a timely message to start your week on just the right note. Join us at 5504 E. Palo Brea Lane, Cave Creek or call 623-738-4694 for directions or visit unitycarefreecavecreek.org.